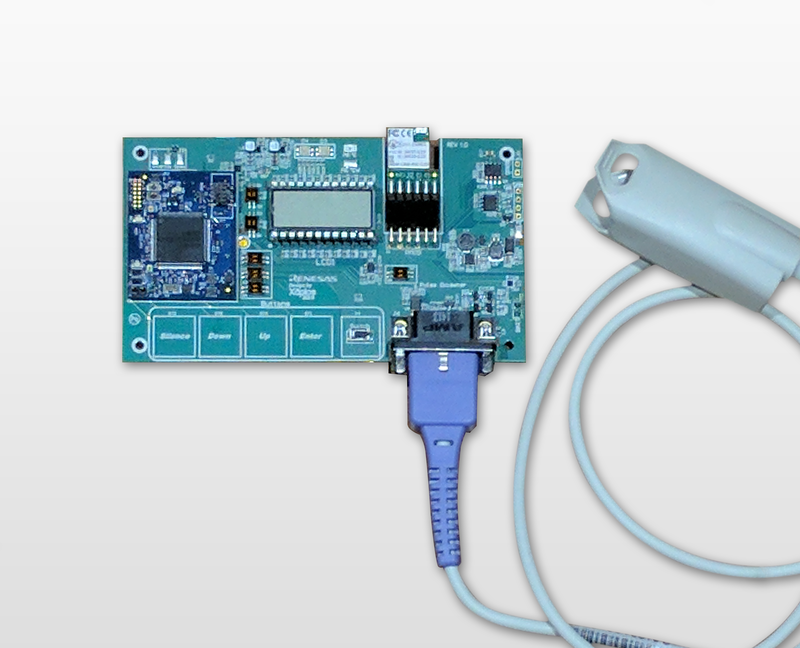 Renesas developed the Healthcare Meters Kit as a proof of concept and for enabling customers to reduce their time to market. Heart Rate/Pulse Ox module uses a finger-based optical sensing technique to determine the heart rate and pulse ox parameters, which are displayed on the LCD display and mobile app. Battery charging is done through a USB port, and touch buttons let you switch between modes.